Get your very own CPR Credit Card! 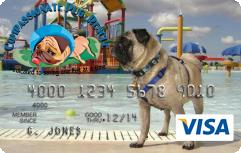 Are you interested in a snazzy new credit card featuring adorable CPR pugs AND helping raise money for CPR? Then click here for more information and an application! For every credit card issued and used, CPR will receive a donation from the credit card company. Its that easy!